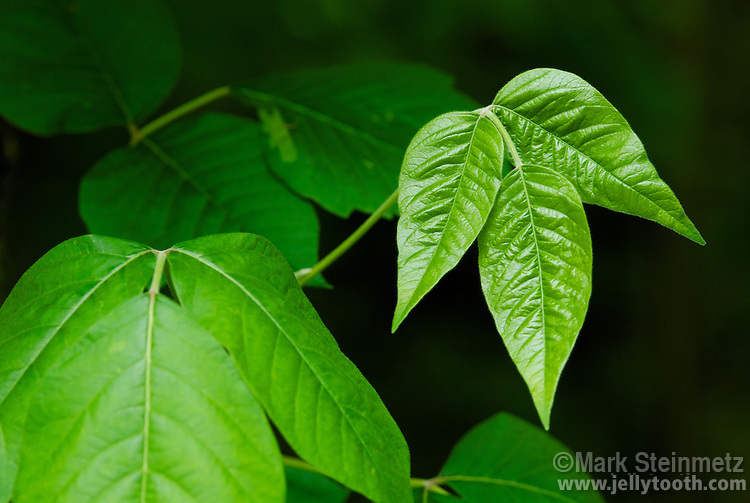 Close-up of a young trifoliate leaflet of Poison Ivy (Toxicodendron radicans) amongst older foliage. Maturing leaves tend to have a shiny appearance. Mid-May, Franklin County, Ohio.